Christmas has come to Chicago and Vivian Witchell is looking forward to nothing more than spending the holidays with family and friends--and maybe spotting her picture in a few radio magazines. But the discovery of a mysterious envelope stuffed with cash in her late father's study sets Vivian into a tailspin, as she discovers that her beloved father may not have been exactly who she thought he was, and who may in fact have been working with the most notorious mob boss of the time. 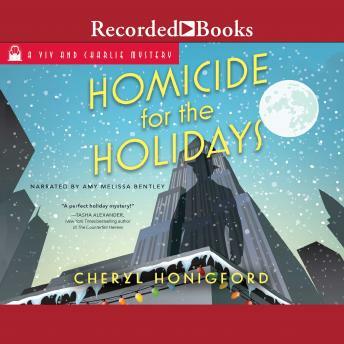 With her career as a radio actress finally beginning to take off, a romance between Vivian and her costar manufactured by their publicity team to keep the public engaged going farther than she had anticipated, and the reappearance of dashing detective Charlie Haverford in her life, it's all Vivian can do to hold herself, and her family, together as she discovers the dangerous secrets of her father's past--and the truth behind his sudden death.